Based in Norfolk UK AT Power is famous for unique and innovative patented throttle technology designed to meet the ever increasing demands of motorsport and high performance applications, ensuring AT Power is at the forefront in supplying the ultimate high quality performance products. Reno Rennsport is the exclusive distributor for AT Power in the US for Porsche and BMW applications. ESS Tuning was founded in Aremark, Norway in 1995, providing supercharger solutions to the mighty BMW platform. Since then, ESS Tuning has amassed a legendary reputation as the largest BMW supercharger system manufacturer in the world, and as a well-known innovator in the chip and tuning sector with extensive expertise in Bosch and Siemens engine control systems. ESS Tuning products undergo the strictest production standards and unmatched testing, all part of a goal to achieve uncompromised performance. These classic, Porsche specific wheels are totally new construction throughout. 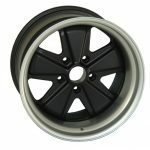 No Fuchs wheels were harmed to make these. Used extensively in Europe and North America on street and track. Made to TUV standards. Light weight and strong and available up to 12″ wide! The 15” and 16” versions are available in the original 911 offsets and backspacing plus custom offsets if required. 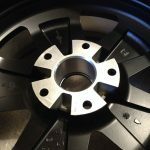 The 17” & 18″ versions are available with almost any offset within the stated range. Modern construction with authentically accurate finish options, hub centric and ball seats. Custom finishes are available of course, just ask. 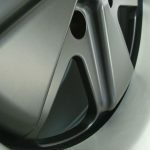 Standard finish is satin black center with silver anodized outer rim. 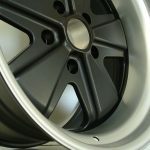 RSR finish, all black and polishing instead of anodizing are +$100 per wheel. Custom colors are also available. Just tell us what you want. All wheels come hub centric with ball seats. Weights are in lbs. Offsets shown are standard available but others may be possible at extra cost. Please call to confirm. Haltech has been at the cutting edge of engine management technology since it first opened its doors in 1986. Today, Haltech ECUs are sold in over 50 countries around the world. They are the driving force behind many record-setting race vehicles. The company is credited as being the first in the world to develop real time engine management calibration. 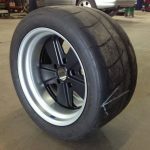 Haltech is actively involved with many popular car culture shows like Discovery Channel’s Street Outlaws and Mighty Car Mods as well as numerous racing and motorsport events like the NMCA/NMRA, SEMA, PRI, World Cup Finals, Door Wars, World Time Attack Challenge and Summernats just to name a few.